Here you will find two full-length novels, one novella, and one short story. Only the novels are available in paperback. The shorter works are only available as ebooks at this time. All of them are available on Amazon. ​Kendra is young, happy, intelligent and beautiful. She loves her job and is passionate about learning about the world she lives in. Keith is not so happy. He can barely tolerate having anything to do with his mother. His father recently committed suicide for the same reason. And he's been unlucky in love. When the two of them meet, it's love at first sight. But then things go badly in an out of this world story that takes place in a part of this world you may have never imagined. ​Nuclear explosions wipe out Denver, Colorado. A mountain community nearby is unharmed except for those who encounter a serial killer on the loose. With the local authorities obliterated, there's no one to call for help when things go badly. 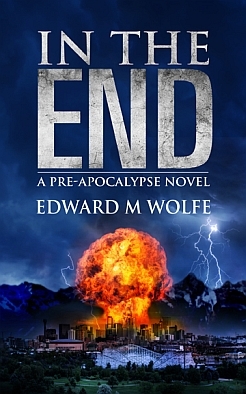 This is the first book in an apocalyptic series. 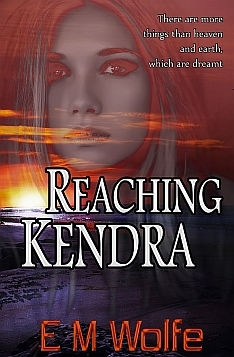 The second book broadens the scope of the first part and deals with what's going on nationally, as well as what our group of survivors experience as they seek a new refuge. In this very short but very provocative story, ancient aliens return to earth in modern times and make drastic changes to global society after giving up on us ever getting it together on our own. What is the cause of the recent outbreak of people losing their minds and going on killing sprees? Several mass shootings by U.S. mail carriers spawned the phrase "going postal." But since then, many people of all ages have gone on unexplained killing sprees in their workplaces, their schools, and sometimes even restaurants, killing as many people as possible, often before killing themselves in the end.